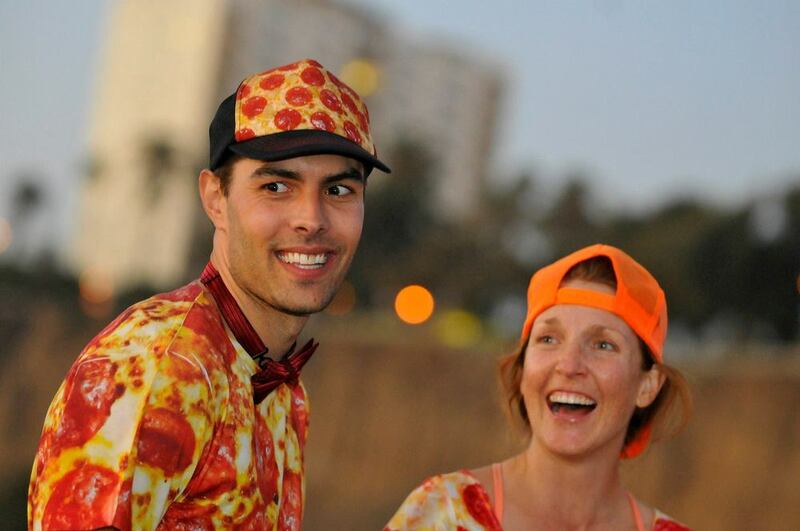 Most colorful and pizza-themed wedding ever? You bet it was. Eric and Brooke Ray were surprised by a pre-wedding wedding thrown by their ultimate frisbee team at a tournament called Lei Out in Santa Monica in January.